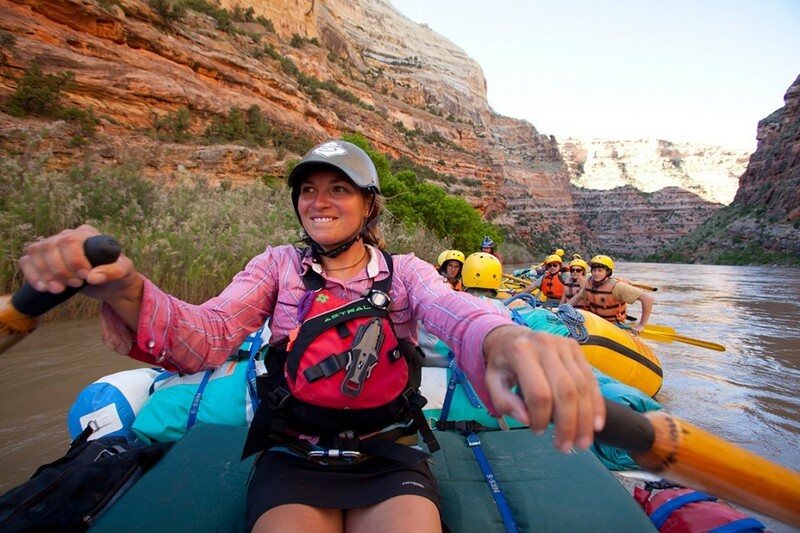 Joelle Stanions is an OARS up-and-comer from the East Coast and a shining star on our Dinosaur National Monument rafting team in Colorado and Utah. There’s not much she loves more than sharing the outdoors with other people, and it certainly shows. 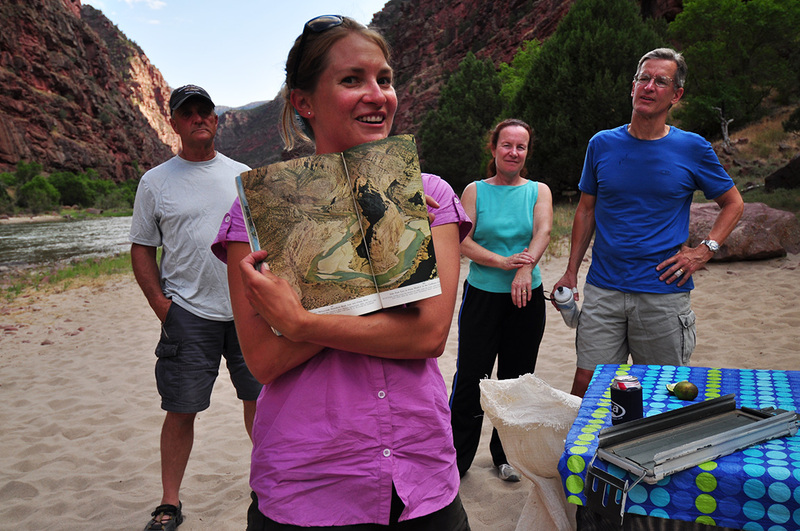 How long have you worked for OARS as a river guide and how did you get started? This is my 4th season working at OARS, and I became a river guide back in 2004. Before I became a guide, I remember I was nervous and made just about every excuse not to go down the river with one of my friends. And then she took me on a trip and it was really fun. She calmed me down and took me beyond my comfort level, but not so much that I was scared or terrified. I had a blast. Completely out of my comfort zone, but you know it was a really great trip. Then I bugged her about what I needed to do to become a river guide and came out and trained the following year [on the New River in West Virginia]. How would you compare boating in West Virginia to the rivers of the American Southwest? I think the biggest difference is back east I was doing 1-day trips and here I’m doing multi-day trips. 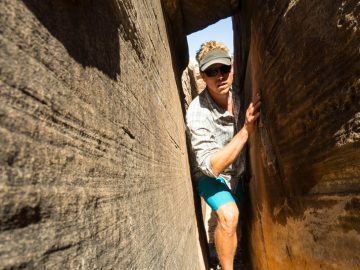 The 1-day trips are fun, quick, great for people to get in, get out and get their thrill, but moving onto the multi-day river experience, that’s what it is—an experience. You get the rafting and the camping, the good food, the stories, and you really build good relationships with your guests. What do you like most about being a guide and working in the outdoors? Well you get to be outdoors! My office is pretty fabulous; I’ve got a great view. I feel like every day I wake up and come to work, and I’m excited! You get to do something that you love and you get to share it with other guests, which is cool. It’s their vacation and we get to show them in an electronically-driven world that you don’t need much to have the time of your life out here. 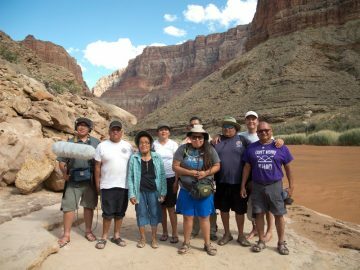 Why should people choose a river trip over other more traditional vacation options? Because it’s an experience they will never forget…just earlier this year we had a guy come down and he was remembering all the things on the river that he did back when he was 12 years old with his dad, so he came back with his son and wanted to share that same experience with him. I feel like a lot of people come and do a river trip and don’t know what they’re getting themselves into at all, but then they leave with a big smile and a memorable experience with the other people they met on the river. 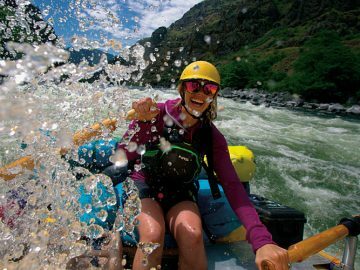 How do you help guests to step out of their comfort zones and really make the most of their time on the river? Games are great. One of the great things about being in the wilderness and being away is that you get to act like you’re 10 years old again. And I feel like a lot of guests, after the first night, sort of step out of their comfort zone. We’ll get the guests playing some games out there and there’s so many…where you don’t need much at all. You don’t need electronics. You don’t need a board game. There’s so many simple, quick camping games that you can play that involve everyone and they love it. And after that first night and everyone’s introduced to each other, I think being outside they realize they can let themselves go and have fun.